This is the CMS (Compact Muon Solenoid) detector which analysed the data for the Higgs boson discovery in 2012. It is one of four separate detectors on the LHC ring. At 12,500 tonnes, it is the heaviest, containing twice as much metal as the Eiffel Tower. The Large Hadron Collider under the France-Swiss border captures the headlines every so often. The big story this spring was that the LHC had been successfully re-started with protons circling the 27km long accelerator ring for the first time in more than two years. A month later proton beams collided at 99.9% of the speed of light at the ‘record-breaking energy of 13 TEVs’, and the machine began to deliver the much sought-after physics data. But one news headline caught my attention. 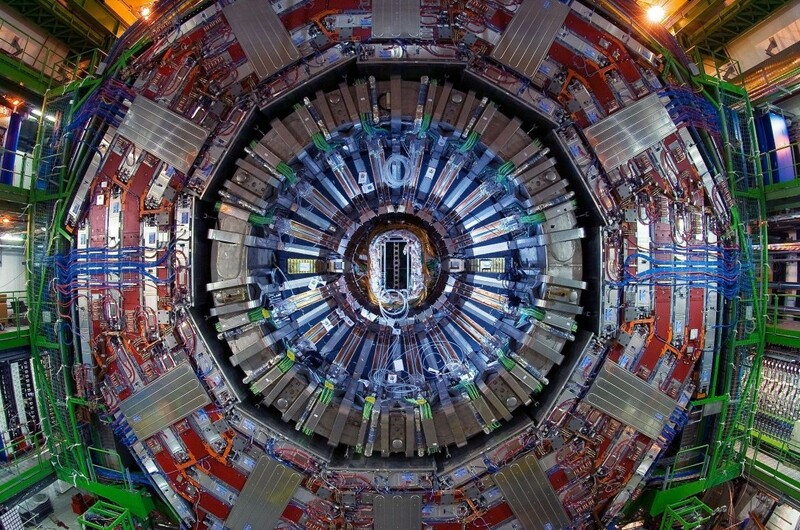 ‘What would happen if you got zapped by the LHC?’ One might guess it wouldn’t be very nice. 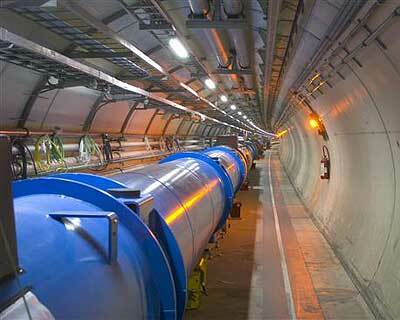 The LHC is the largest particle collider in the world and the largest single machine ever built. Although one TEV (or tera-electron volt) is roughly equivalent to the energy of motion of a flying mosquito, the energy within the LHC is squeezed into an extremely small space, about a million, million times smaller than a mosquito, and it is this intensity which causes the protons to be smashed apart. I’m not sure the mosquito analogy works. I know that energy like this can’t be quoted in terms of so many London buses or Olympic size swimming pools, though I did read somewhere that each beam contains the energy of a Eurostar train travelling at full speed. That’s more like it. The ring encloses two vacuumed ‘beam-pipes’ along which the protons travel in opposite directions at a speed of 11,000 revolutions of the ring per second before being made to intersect at four locations, at each of which there is a massive particle detector. Back to the zapping. You’ve managed to get through security, down one of the eight shafts (which are up to 175 metres deep), and you’ve found a quiet spot in the 3.8 metre concrete tunnel close to a hypothetical inspection hatch into the accelerator ring. Though the collider should shut off if anyone starts tampering with the ring whilst it’s running, make believe that you’ve by-passed the safety systems and managed to stick your head inside the ring and into the proton beams. What happens next? It depends on how many protons collide with nuclei in the tissues in your head, and how many zip through undisturbed. If the beam was of single protons, there would be little chance of impact, but there are 320 trillion protons spinning around each pipe of the LHC, and the beam would almost certainly burn a hole through your head. And as protons fling off secondary particles when they hit something, which incite another round of collisions, the beam would create a space that spreads out laterally. Rather than boring a hole a few microns wide in your head, a beam might carve out a large cone of tissue. You would be toast! Is this all conjecture? Well not entirely. In 1978, Anatoli Petrovich Bugorski, a 36-year-old physicist at the Institute for High Energy Physics in Protvino, Russia, was checking a malfunctioning piece of equipment in a particle accelerator, the U-70 synchrotron. The machine was switched on inadvertently, and unfortunately the safety mechanisms failed to work. 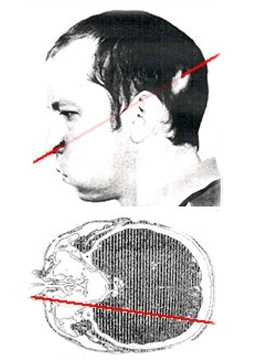 Bugorski’s head was in the path of the 76 GeV proton beam. Reportedly, he saw a flash ‘brighter than a thousand suns’ but did not feel any pain.